From the archetypical corporate event to moments of great note in our lives – champagne is there. Effervescence, excitement, enjoyment, all encapsulated beneath golden foil, and a resolute cork awaiting release. 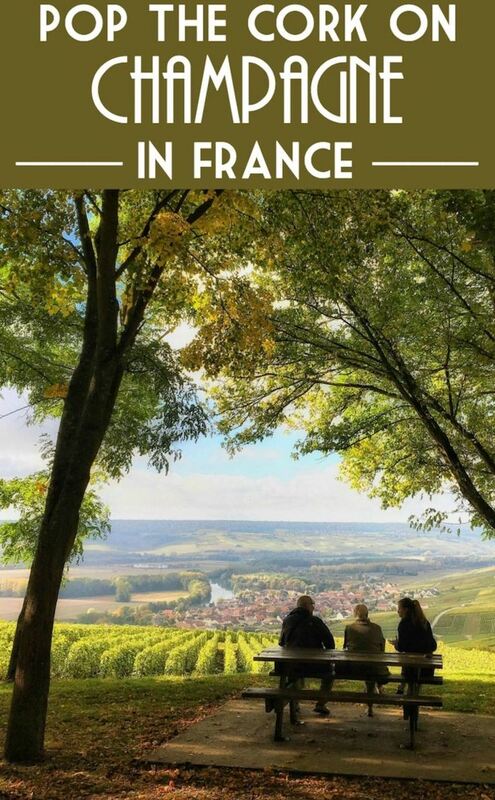 But visit the Champagne region, France, and you’ll discover so much more to its wines and their lofty position in the world, than can ever be released by a satisfying “POP!”. 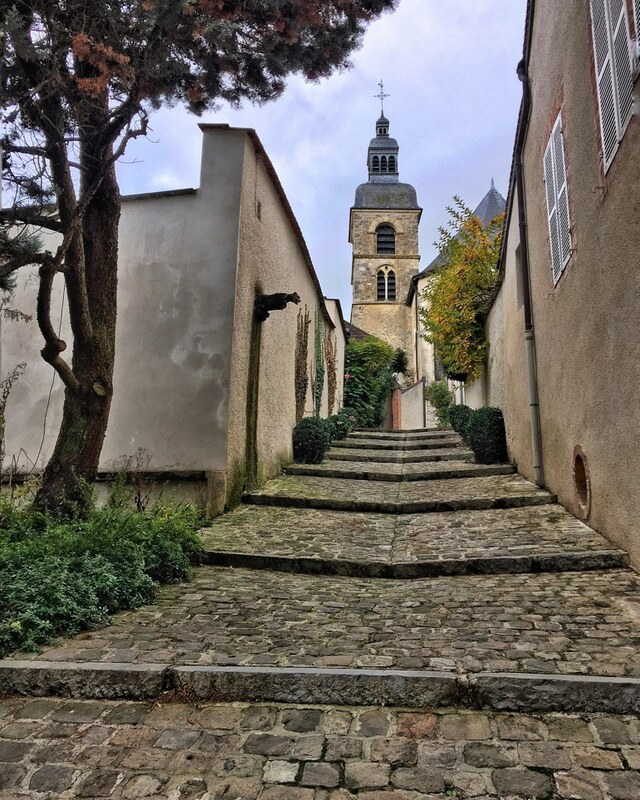 With UNESCO world heritage status, centuries-old traditions, classical villages and towns, vines rolling over endless landscapes, and fascinating architecture, Champagne itself is a region to be celebrated. Of course we cannot forget the bubbly bonanza that locals rightly laud and the world delights in. People all over the globe know champagne as the drink of celebration. And that reputation is derived from the regal past of the Champagne region. 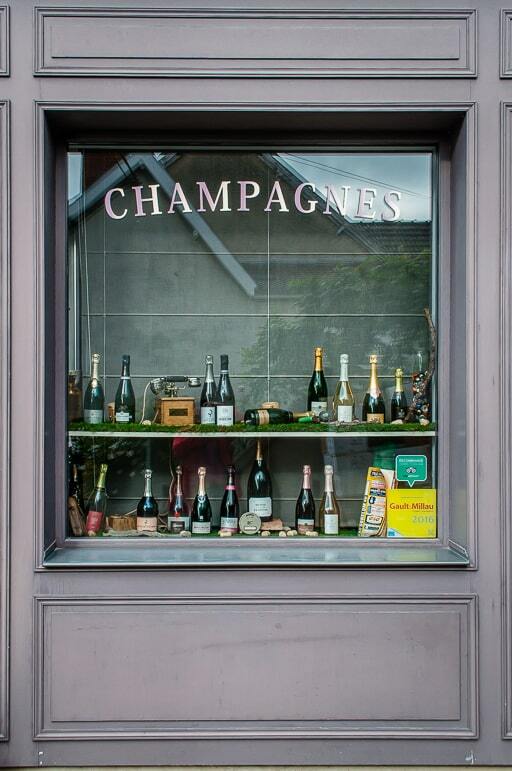 It was in Reims, just 45 minutes by train from Paris, that we started our foray into this delectable land of bubbles. It is in part due to its proximity to the capital, that it is also the town in which 33 French kings have been crowned. To mark such momentous occasions the locals needed a wine of stature. Something as golden as the kings’ crowns, as sparkling as their personalities (or to lighten the load of those less characterful), as spectacularly tasteful as their royalty. It’s here that local wine, champagne, made its early mark on centuries of celebrations. Le Biscuit Rose are best dunked. Not in tea, but champagne of course. For this is the Champagne region, darling! Reims is a relatively small city but one with a big reputation, and not just due to its royal past. 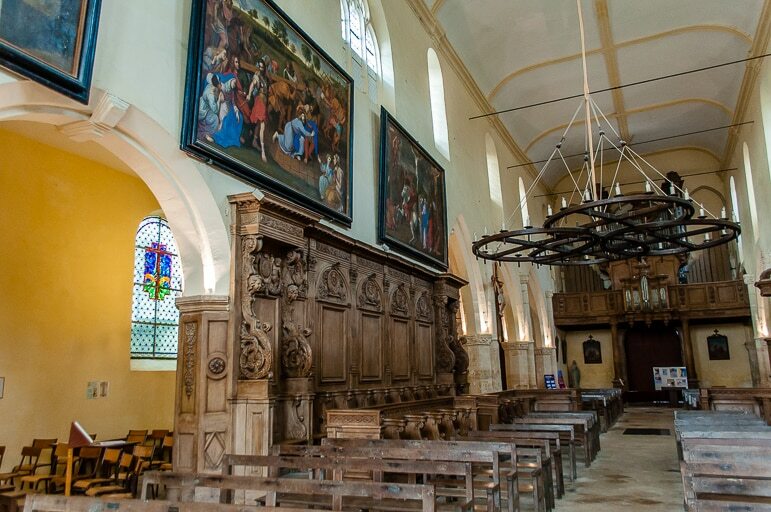 Here we found three UNESCO world heritage sites – the gothic Notre-Dame de Cathedral adorned with over 2,300 statues, Palais du Tau, the palace of the Archbishops of Reims, and Saint-Remi Basilica and Abbey-Museum. The cathedral was for us the most impressive, its gothic glory looming over us as much as its history. Since 1211 it is the third cathedral to be built on the site. But even then it’s a mere whippersnapper in history – excavations revealed that a cathedral occupied nearly the same site as early as 400AD. 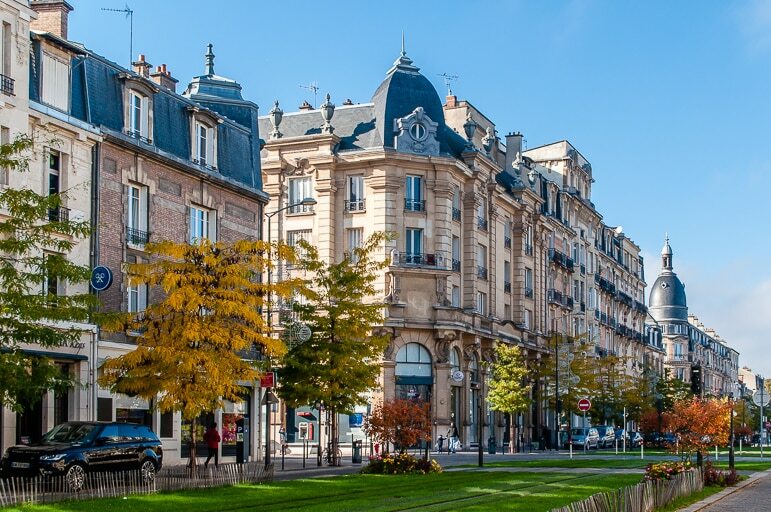 Reims’ long and prestigious past makes it worth a visit for those with a love of history. This even though approximately 80% of its buildings were destroyed during the First World War – in fact only 60 houses were left standing. 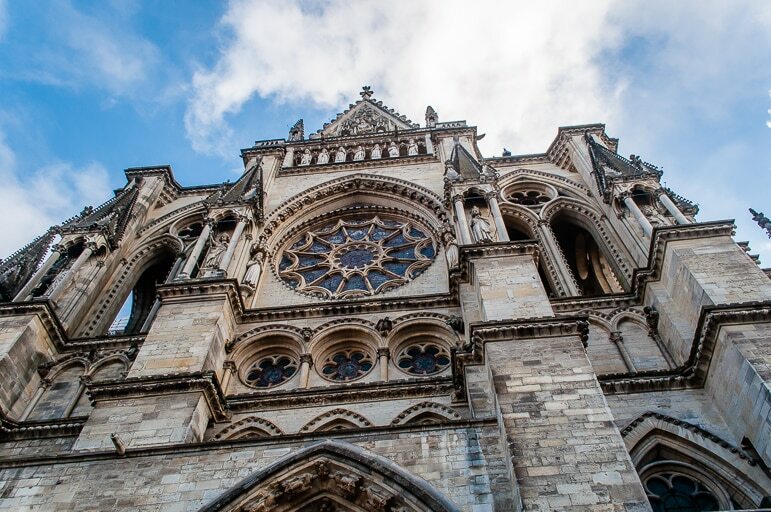 The cathedral was commissioned as a hospital during the war, and much of it was destroyed by German shells in September 1914, fire melting the lead in the roof and pouring through stone gargoyles. Restoration work began in 1919, under the direction of native architect Henri Deneux, and it opened again in 1938, thanks in part to the philanthropy of America’s Rockefeller family. But Reims is not a symbol of war and destruction – it’s one of hope. It is there that the Second World War ended with the signing of a surrender document on 7 May 1945 – a cause for celebration, even if not with a bottle of champagne at the time. Post-war rebuilding also created some of its most charming features – the pure geometric form of 1920s art deco, and the corner of every new street crowned by a domed building. Stopping for lunch we headed to Café du Palais, a restaurant in the centre of the city, run by the fourth generation of the Vogt family. 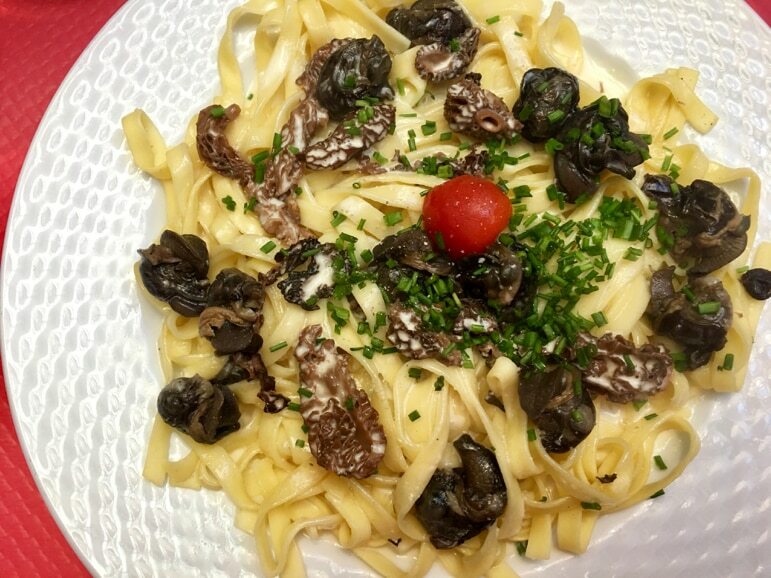 It has been serving local dishes, a host of champagnes and wonderful French wines since 1930. It has earned a well-deserved reputation, for not just its marvellous meals, but the flamboyant artworks adorning its walls and statues integrating with the diners. Our heads were spinning as we took in its quirky drawings, paintings, and sculptures, not least when we looked upwards to its gorgeous art deco stained-glass ceiling. 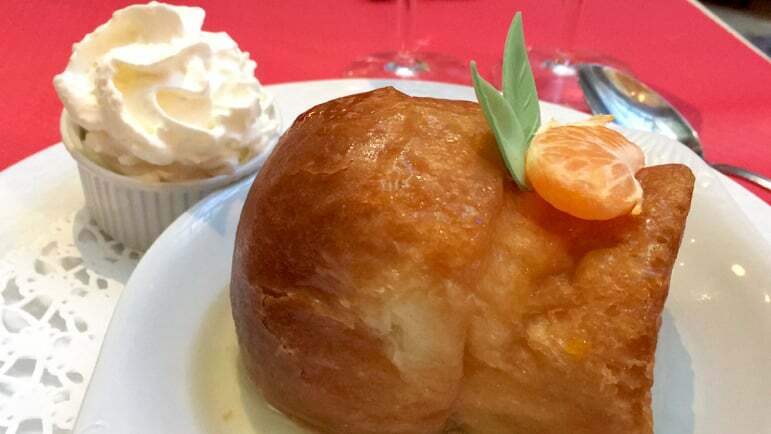 Café du Palais impressed on us that it was so much more than just a restaurant. 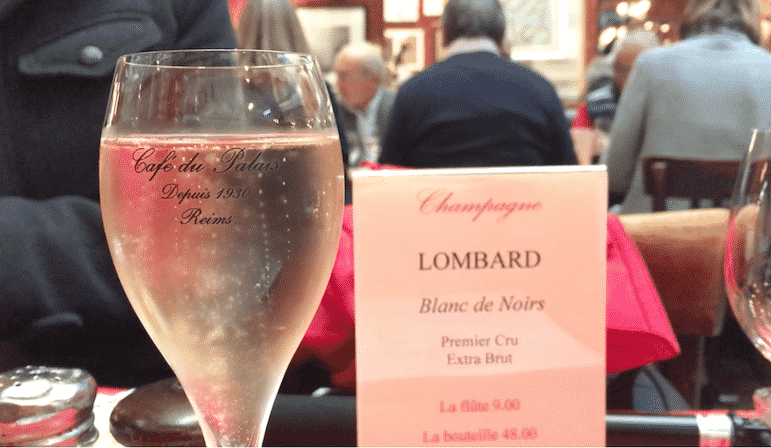 The French are fiercely protective of champagne and its designation of origin, or DOC, safeguards the quality and authenticity of the region’s wine, which is why legally, sparkling wines made anywhere else in the world cannot be called champagne. Champagne is the region’s premiere product and it’s not to be messed with. But this is no French flounce. 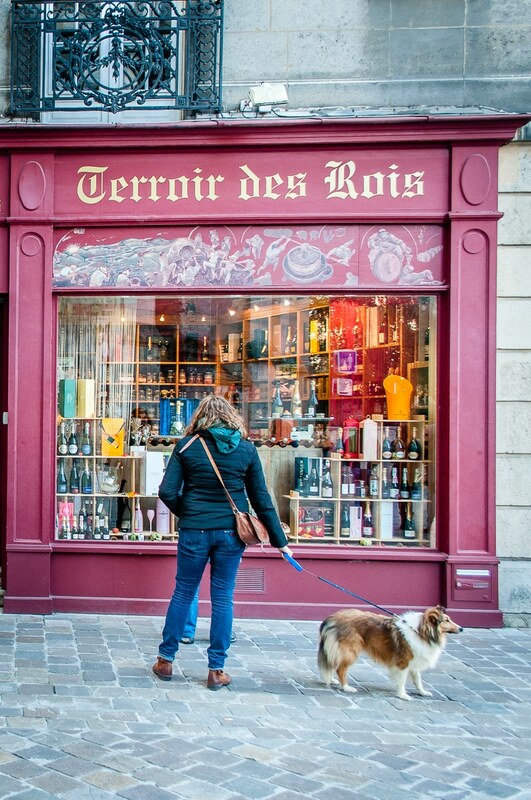 Later on a guided tour of Reims we discovered other local treats – some decidedly unexpected in this city of champagne. 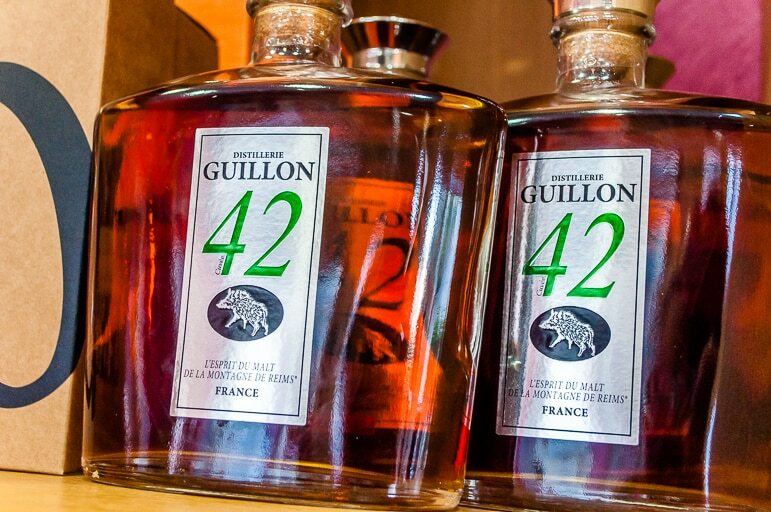 We tasted Distillerie Guillon’s Spirit of Malt at Terroir des Rois, a small shop that would double as an epicurean’s treasure trove. Elsewhere this spirit is called whisky, but locals recognise they have little claim to the origin of this particular tipple, and so the Champagne region shows respect for others’ products as they seek respect for theirs. 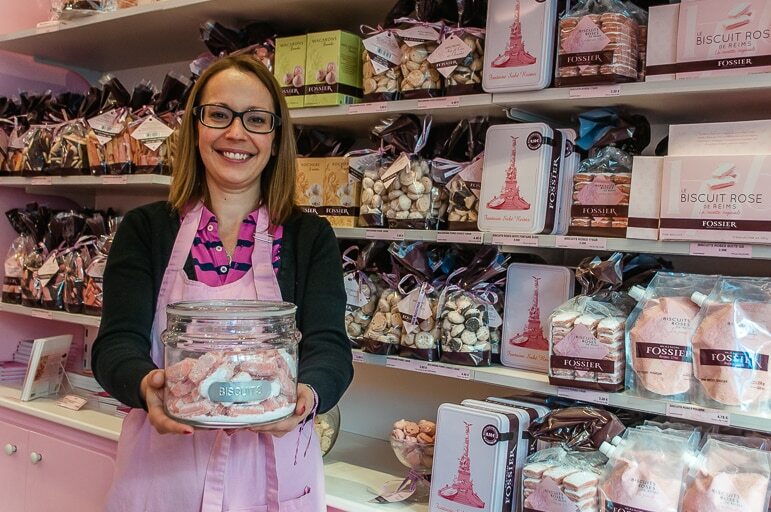 Next, amid the pink splendour of Maison Fossier, a shop which has been in the town since 1756, we bought its renowned crunchy pink treats, Le Biscuit Rose. 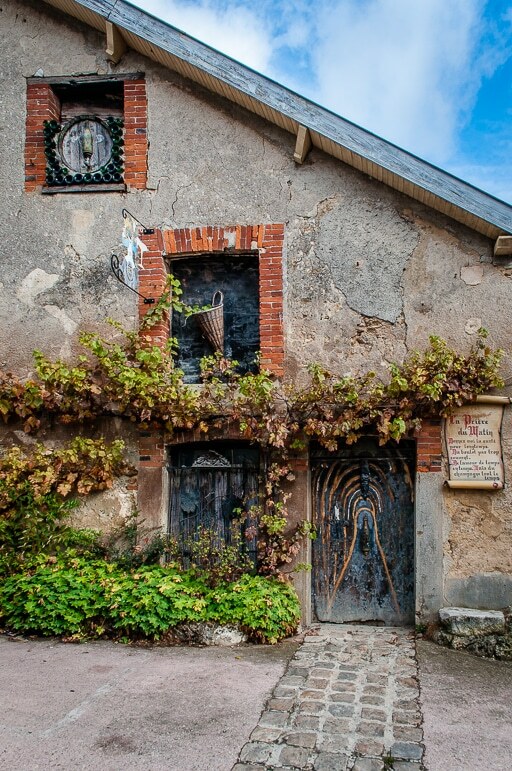 They’ve been a mainstay of the Champagne region for over 250 years. Le Biscuit Rose, we were reliably informed, are best dunked. Not in tea, but champagne of course. For this is the Champagne region, darling! A nice by-product of buying their biscuits is that for every box sold, Maison Fossier donates 50 cents to the restoration of the town’s ancient buildings. Reims is where the story of champagne begins, and that of its links to our celebrations. 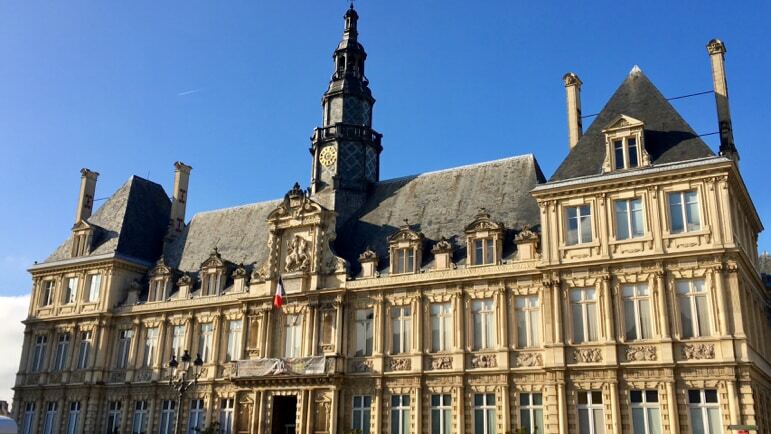 But arguably, the capital of Champagne is Épernay, home to champagne association, the Comite de Champagne, plus the grand Avenue de Champagne. 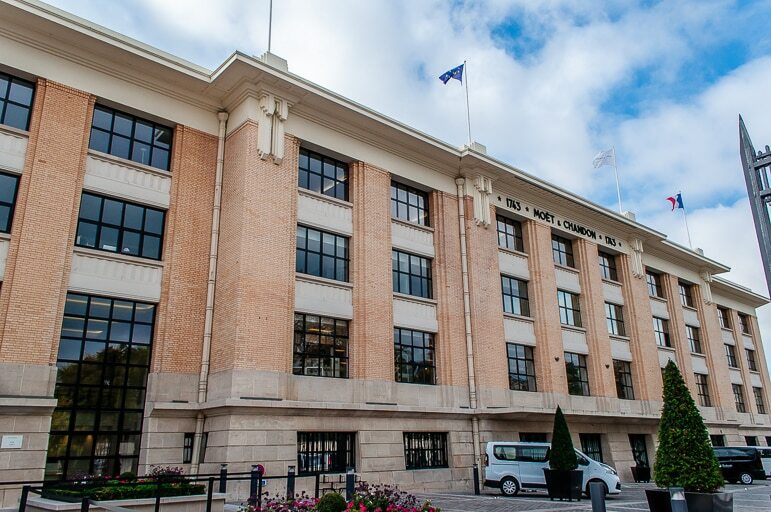 This is the sparkling heart of the industry, and home to Champagne’s most renowned producers. The avenue lined with grand houses and chateaux, fizzes with world leaders including Perrier Jouet, Moet et Chandon, Pol Roger, and Mercier. 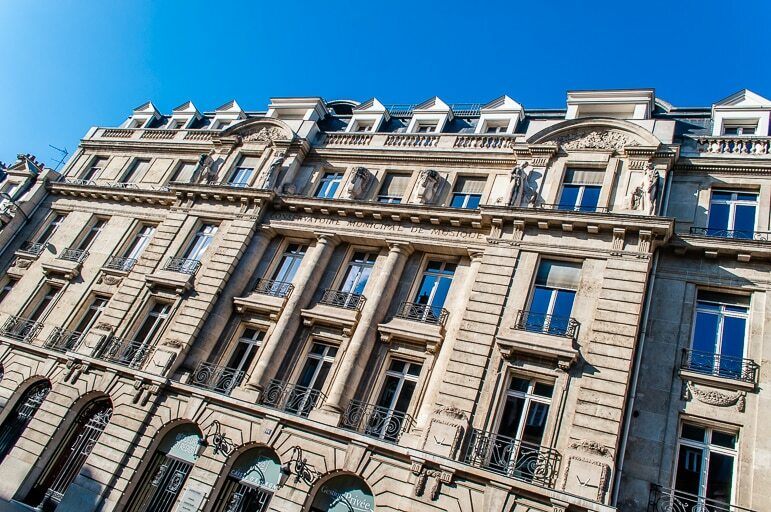 Residents have proclaimed it the most expensive avenue in the world, more so than Paris’ Champs Élysées, due to the 200 million bottles of champagne stored in its 110 kilometres of subterranean chalk cellars. Over the centuries Épernay has come under attack many times and almost all of its medieval architecture has been destroyed. However, buildings from the 19th and 20th centuries ensure a grandeur befitting the bubbles. 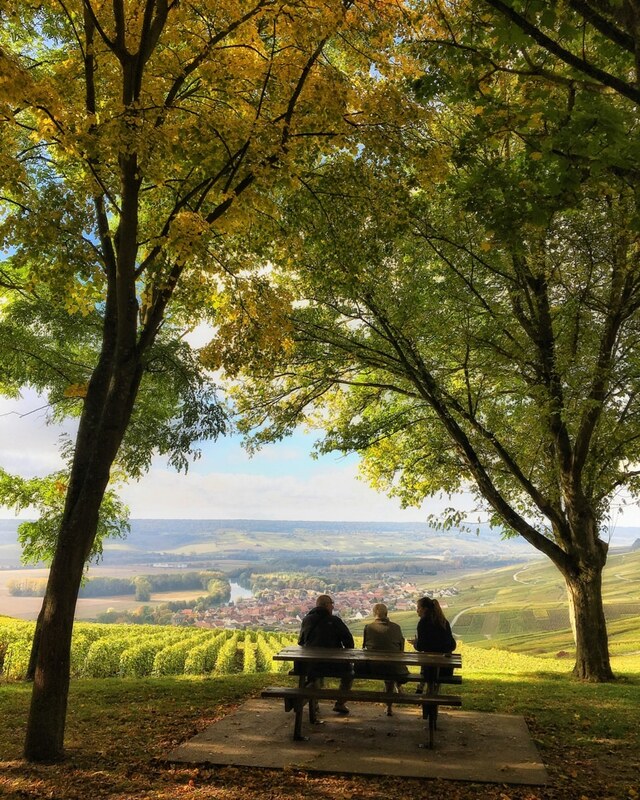 Meanwhile it’s worth taking a trip out of the town to breathe in the beauty of the Champagne region’s landscapes and visit the village of Hautvillers. Not only does it have many a charming eatery, but it is also the final resting place of the man many wrongly believed invented champagne. 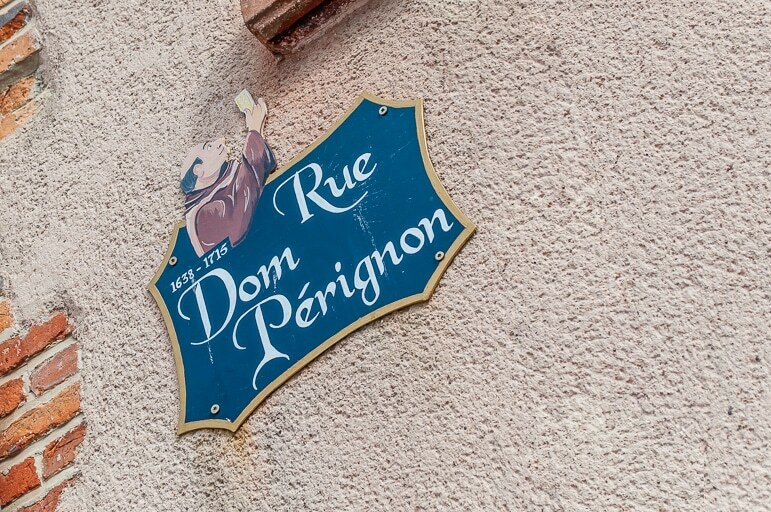 Benedictine monk, Dom Pérignon, was responsible though for first introducing natural processes to wine production and declaring pinot noir one of Champagne’s grapes of choice. 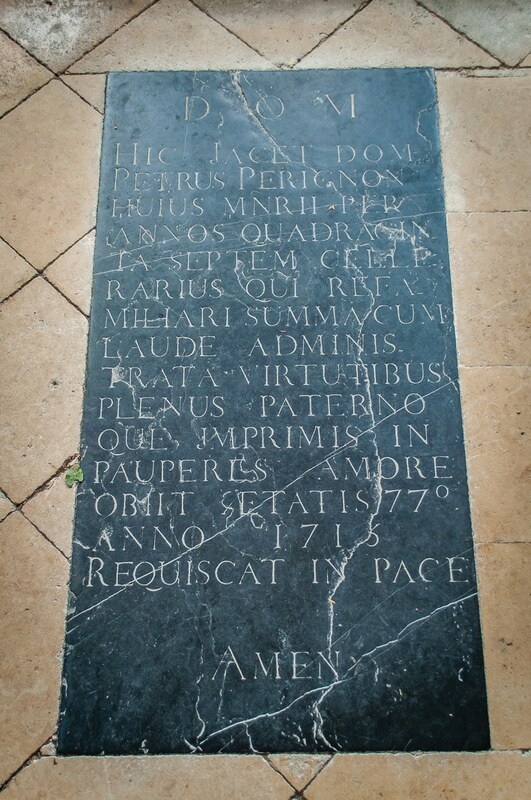 He is buried in a tomb at the foot of the Abbaye Saint-Pierre d’Hautvillers’ altar – an area previously reserved for abbots, such was the regard for Pérignon in Champagne. We would also recommend the beautiful Relais & Chateaux Hostellerie La Briqueterie in the countryside at Vinay, close to Épernay. 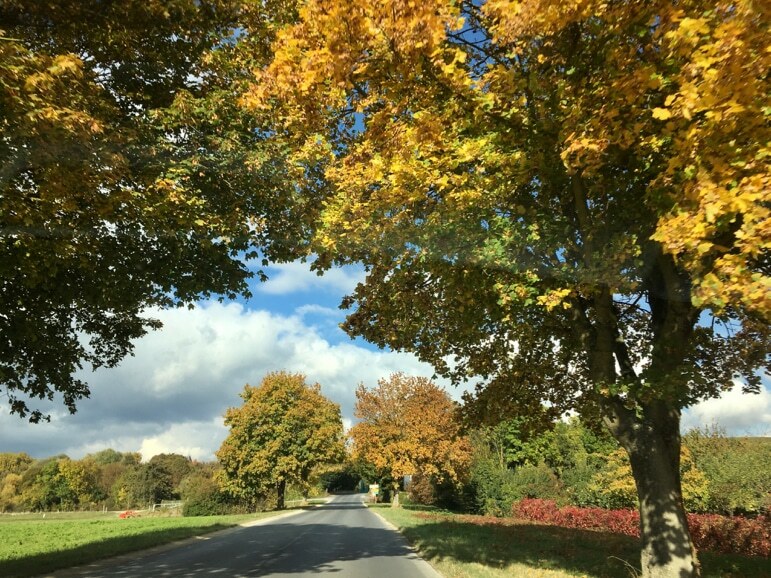 With Michelin-starred chef, Jérôme Feck, creating tantalising dishes in its restaurant, an extensive spa and beautiful rooms, it’s a great countryside retreat. We also loved the flowers that adorn every corner. 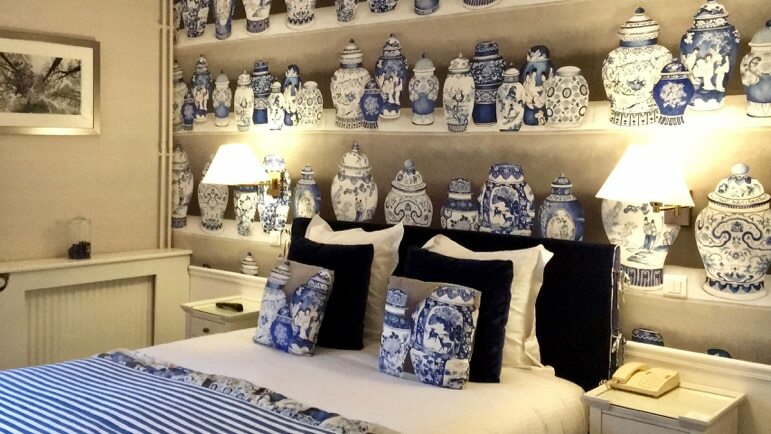 We also stayed at the very good quality Best Western Plus Hôtel la Pais in Reims. It’s very well located in the centre of this walkable city. We stayed in a modern Privilege room. The hotel has excellent choices at breakfast and there’s a spa and pool, and a bar with a large champagne selection. The photos you’ve taken of this region are really inspiring! I’d never really thought about Champagne and knew almost nothing about it before this post. Thanks for sharing! Thank you, glad you enjoyed it, hope it inspires you to visit, as Champagne was something of a revelation to us as well. An entertaining romp through Champagne that puts me in the right mood for another visit, with Champagne biscuit-dunking definitely on the menu. Thanks! Ha ha, yes, it’s worth a visit even if just for Champagne biscuit dunking. Where is the picture taken that overlooks the vineyard? We will be there in 3 weeks and I want to take that picture myself!